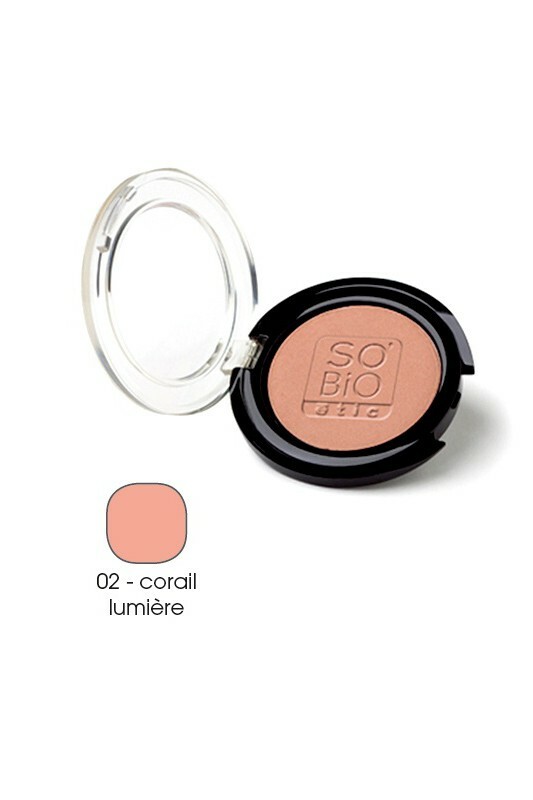 Dermatologist tested, SO'BiO étic Organic Blush gives you a natural a natural radiant glow, with pure mineral pigments for a subtle sheer effect. 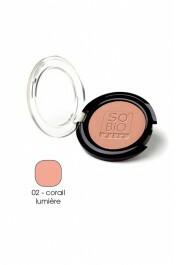 Its silky soft texture based on organic tapioca powder, does not dry out the skin thanks to comforting aloe vera. 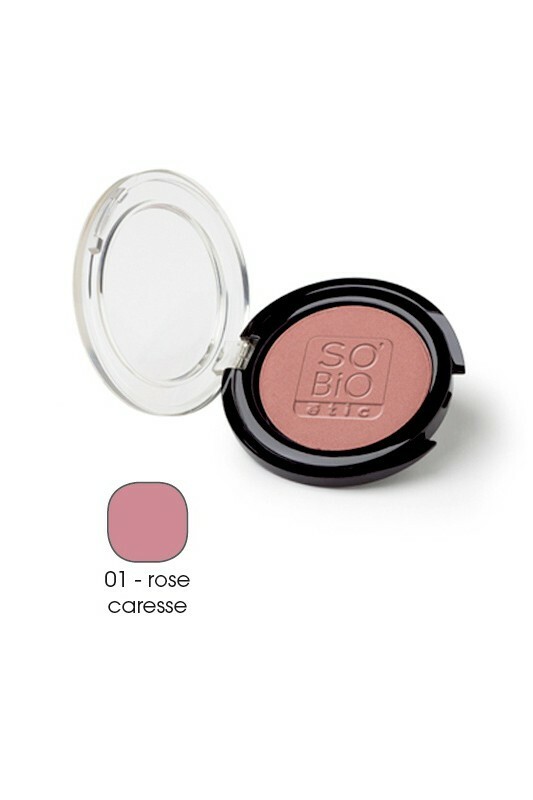 Silicon-free, SO'BiO étic Organic Blush is enriched with passion flower oil extract and mural oil for its moisturizing properties*. 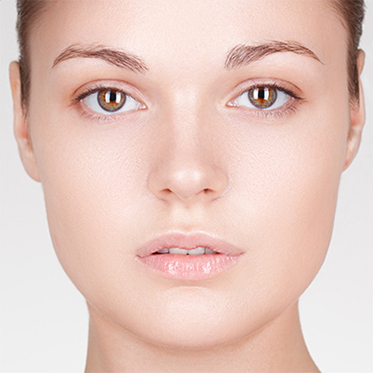 HOW TO APPLY THIS GORGEOUS ORGANIC BLUSH ? 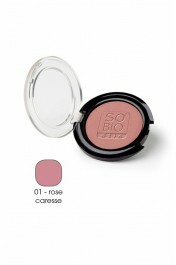 Using a brush apply SO BIO ETIC Organic Blush on top of the cheekbones then blend in for a natural result. Watch SO'BiO étic Organic Blush in the tutorial video "Smokey Eyes Mordoré". Talc, Tapioca Starch*, Helianthus Annuus (Sunflower) Seed Oil, Zinc PCA, Sucrose Polystearate, Sclerocarya Birrea Seed Oil*, Parfum (Fragrance), Tocopherol, Aloe Barbadensis Leaf Juice Powder*, Passiflora Edulis Seed Oil, Passiflora Incarnata Seed Oil, Benzyl Salicylate, Limonene, Aqua (Water), Lauroyl Lysine. May contain : Mica, CI 77742 (Manganese Violet), CI 77491 (Iron Oxides), CI 77891 (Titanium Dioxide), CI 77492 (Iron Oxides), CI 77499 (Iron Oxides).